OUR MISSION: Create a sustainable business model while fundamentally changing the way in which we as Americans pack and move. EcoPax was formed in an effort to “short” cardboard and preserve one of Earth’s most valuable natural resources: trees. We are doing something to reduce the use of cardboard while assisting people to relocate. 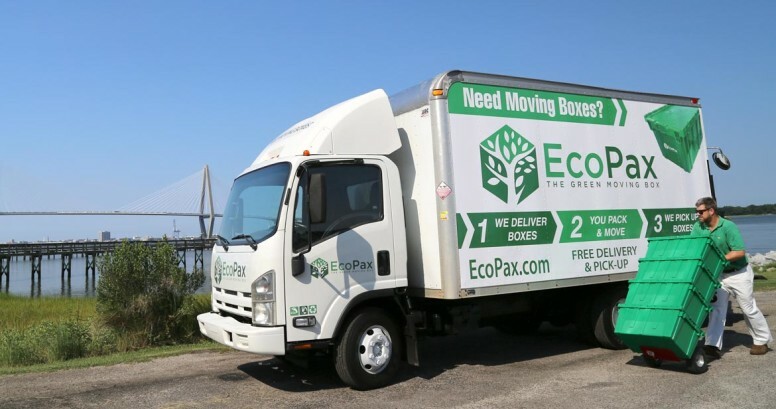 Simply put, EcoPax is a much smarter, easier, and greener way to move. EcoPax was founded by Courtney Friedman in 2016. Friedman is an outdoor enthusiast and owner of Low Country Laundry & Dry Cleaners, a company that also specializes in customer service and logistics. As he was searching for a sustainable approach to a problem noticed in his laundry and dry cleaning business, he wondered what to do with all these cardboard boxes? He then wondered what others did with their cardboard boxes and where we could significantly reduce the use of cardboard boxes. “Everyone shops online these days and that’s not going to stop anytime soon,” said Friedman after realizing that some of his customers had rooms in their apartment/condo buildings designated to the storage of cardboard box packages. But there is one thing we can stop: Wasteful and inconvenient use of cardboard when moving. We have way too many cardboard boxes that unfortunately end up in landfills in many cases. Can we effectively take the cardboard box out of moving, and save one of earth’s most valuable natural resources, while making moving easier and more efficient? Absolutely!